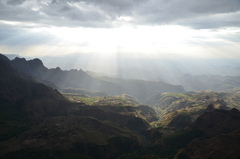 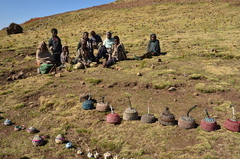 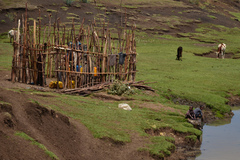 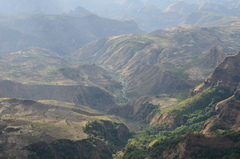 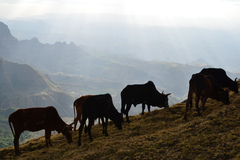 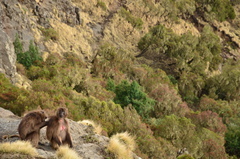 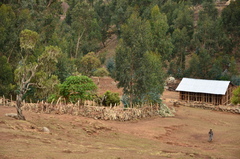 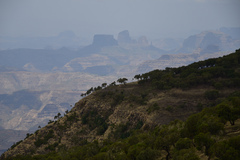 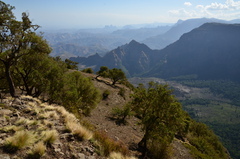 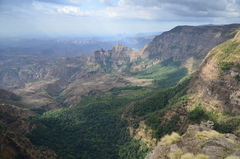 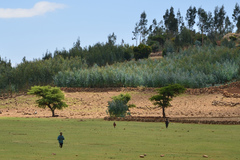 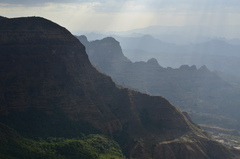 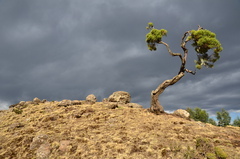 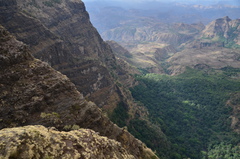 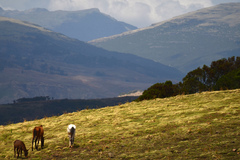 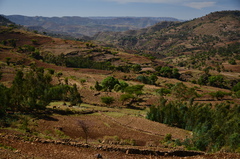 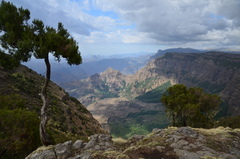 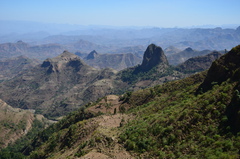 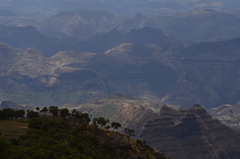 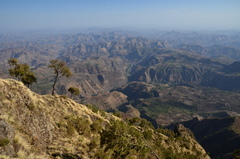 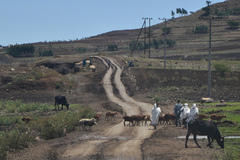 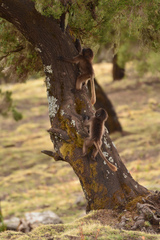 On the tail end of my trip to Ethiopia, I got a chance to hike for a couple of days in Simien Mountains. 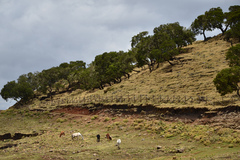 It's a great feeling to be walking along and breathing the refreshing mountain air drastically different from that in the highlands below. 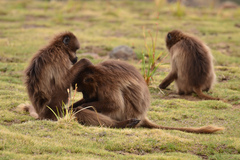 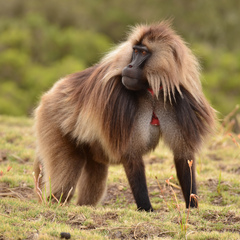 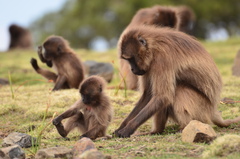 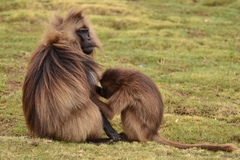 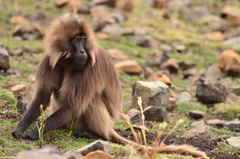 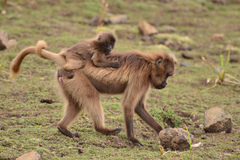 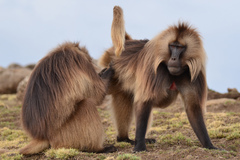 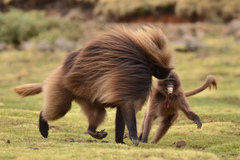 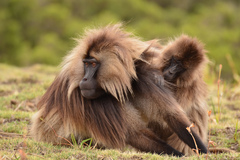 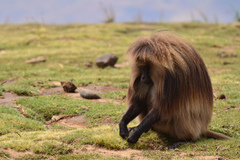 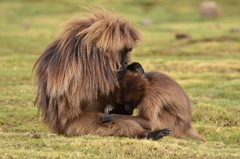 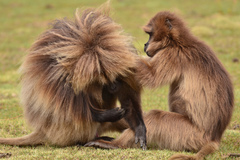 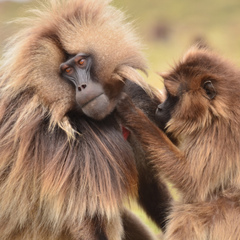 As you admire the beauty of the terrain, be careful not to blink, as at any instant, you may find yourself completely surrounded by the endemic gelada baboon, who do their own thing as you stand in awe and observe these amazing creatures. 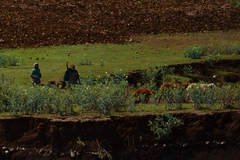 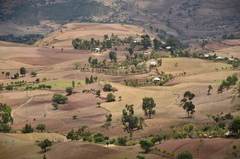 You will also run into villagers, whose children split their time between going to school, helping look after the fields and the animals, and making crafts to sell to the occasional visitor.